Scottish independence - Yes or No? 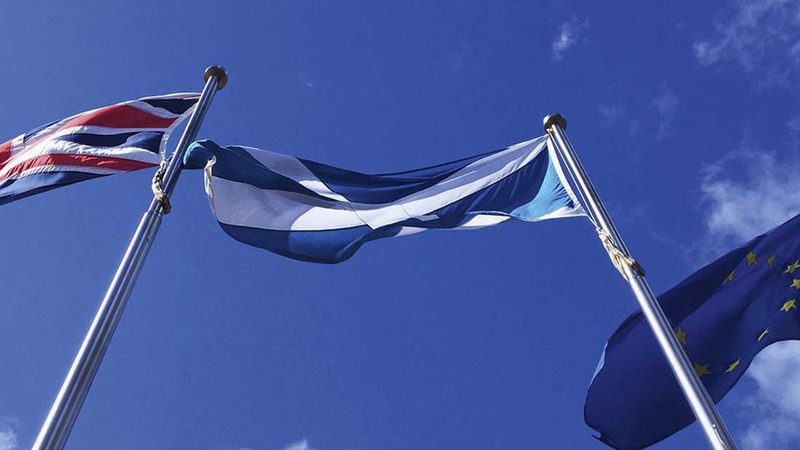 As Nicola Sturgeon and Theresa May go head-to-head in the battle for Scottish independence, Abi Kay speaks to two farmers with very different views on whether a second referendum should be held. Abi took up the post of chief reporter at Farmers Guardian after a stint working for the NFU as part of its government affairs team. Scottish independence - What do farmers say? With calls for Scottish self-determination growing ever-louder in the wake of Brexit, it is unclear how long the Prime Minister can hold off a fresh independence referendum. But what would the break-up of the UK mean for farming across the four nations of the union? Scottish hill farmers Jim Fairlie and Peter Kennedy give their opinions. Despite Mrs Sturgeon facing criticism for being unable to say which currency an independent Scotland would use earlier this week, Perth lamb and beef farmer Jim Fairlie told Farmers Guardian the case for independence was stronger now than it has ever been. He said: “Hill farming will undoubtedly be finished if we remain in the UK. Mr Fairlie also raised concerns about Scottish farming losing 7.5 per cent of its current cash spend if it was funded through the Barnett formula and said he could not trust the UK to give Scotland a good deal given its decision to share EU money allocated to Scotland equally between the four UK administrations. “Compare this anti-Scottish farming attitude to the current Scottish Government’s commitment and support to agriculture and you clearly see independence is essential for Scotland’s farmers”, he added. But Peter Kennedy, a sheep farmer from Argyll, said the case for independence was weaker this time round because of a massive drop in oil prices which were crucial to nationalist financial projections in 2014. “Our biggest consumer is England, so if we suddenly find we are out of the UK and have tariffs on goods going to England, it would be quite worrying”, he added. Mr Fairlie, however, denounced this argument as ‘completely bogus’. “It completely overlooks the fact that the rest of the UK sell more into Scotland than the other way around”, he said. Preserving the rest of the UK was another concern for Mr Kennedy, who said he worried about Wales breaking away next. “If the Scots are allowed, why would Wales not leave, especially if we are going to be given this great deal Nicola [Sturgeon] talks about. I do not see Europe allowing it either – I do not think we would get in under favourable terms. There would be a lot of negotiating to do. But for Mr Fairlie, any short-term uncertainty seemed to be a price worth paying. “If Scotland’s transition position is in the EEA, we have free trade with the EU”, he said. Got a burning Brexit question? Send it to fgeditorial@briefingmedia.com to be in with a chance to have it answered by four MPs who hold the Government to account on the Efra committee.